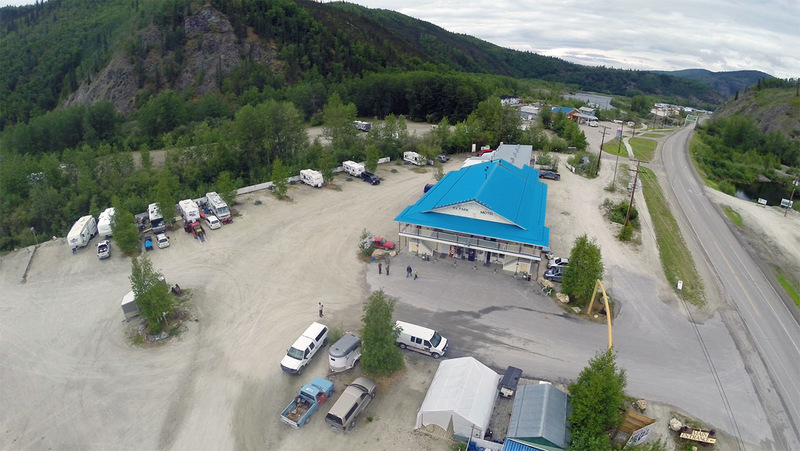 Your best choice for Motel & RV Park accommodations while visiting the Klondike! Pull in to the place that has everything. We can put you in a comfortable bed in our motel, a spacious full-service RV site, or a dry site for tent campers. We have the most amenities in Dawson City, with a knowledgeable, friendly staff to help you have a delightful visit. Whether you’re looking for super-clean rooms and facilities, a guest laundry, full services at your campsite (power, water, sewer, 45 channel cable TV and wifi), or more, we have it. WiFi is available throughout our motel and park.